Acceptance into the Master of Interior Architecture Degree requires a portfolio review and personal interview. The Master of Interior Architecture is the highest degree offered by the Institute. The curriculum is an advanced level of learning promoting a higher standard of academia than the Bachelor of Arts in Interior Design Degree. It is consistent with the goals, objectives and mission of the college. 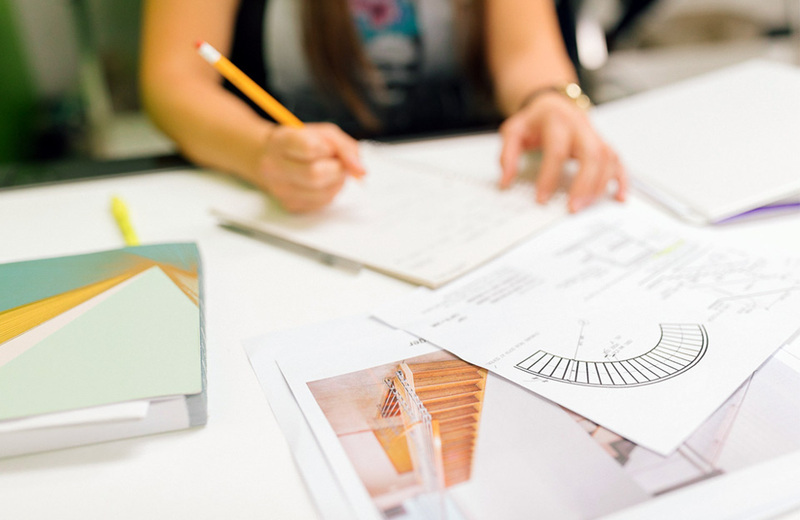 The Master’s Degree advances research and analytical skills, independent and critical thinking and promotes the graduate’s contribution to the field of interior design. The Master’s Degree is scheduled on a quarter system and takes 12-15 months to complete. Upon completion with a cumulative grade point average of 3.0 or better and a 2.0 or better is required for each individual Master’s Level course and the student must be granted Candidacy to the MIA Degree from the Graduate Committee and the student must have fulfilled their financial obligations with idi, in order for the student to receive a MIA. All of these criteria must be met before the student receives a MIA. The Master’s Degree has a total of 45 quarter units. The clock hour conversion formula is one quarter credit hour for each ten (10) hours of classroom time plus twenty (20) hours of outside preparation or the equivalent; or for not fewer than thirty (30) hours of externship, shop instruction (contact hours) or the equivalent. Courses or course requirements may be changed at any time by Interior Designers Institute, however, the number of credit units required for graduation will be the same as stated in the catalog upon enrollment. For additional information, please refer to the college catalog, pages 31-35, and the Master’s Degree Application, Addendum, pages 5-6. Catalog and Addendum can be downloaded here.